Free CRM : What should a CRM system do? How Does Contact Management Software Work?What Can A Contact Management Software Do for Your Small Business?Do you need an online contact management software?Free CRM : What should a CRM system do? 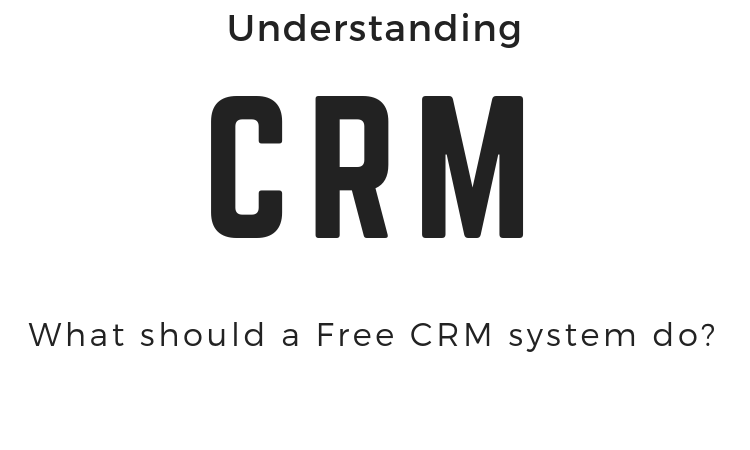 What should a Free CRM system do? Tracking customer behaviors and communications can be a messy business even for the most organized person. Jotting things down on scraps of paper or even a dedicated notebook leaves that information locked up on that page, inaccessible to anyone else in the company. Thankfully, today’s technological advancements have made it significantly easier to keep track of all of your client interactions and optimize the way you stay in touch with them. A CRM (customer relationship management) is a vital piece of technology that every business should use. This kind of software, usually a SaaS-based solution, combines multiple applications which enable you to run your business smoothly. With built-in tools for contact management, marketing, sales and customer support all in one place, you’ll be able to see a holistic view of your company in general, as well as every customer at each touchpoint throughout your entire sales, funnel. There are many solutions on the market, and if you are just getting started with your search, you may want to look for free contact management software solution. This is especially true if you are a small business with a tighter budget. It will give you the opportunity to familiarize yourself with the product and explore the features since every system works slightly differently and may include a different set of tools. What features should a free CRM include? Some of the best free customer management solutions will give you everything you need to get up and running while others might fall short depending on your specific business activities. You’ll need to consider what type of functionality is best, which business processes you want to automate, and which teams need the most tools before selecting one solution over another. Is a free contact management system right for you? The quick answer is yes! Take an in-depth look at your business and talk to your various teams about which tasks are redundant and which are the most time consuming because, at the end of the day, those are the things that hamper productivity. Often you’ll find that your team is tired of moving back and forth between different apps and the best free contact management systems will solve this problem with everything housed inside one platform. A free contact management system is a great starting point for any business regardless of the industry you work in. If the free CRM that you choose offers enough features, you won’t need to find a new solution as your business grows. Also, if you select a free CRM that also offers paid options, upgrading in the future will be simple.